This Nifty® add-on is a WHMCS payment gateway which creates Direct Debits with ease. It's fully automated, just set it up once and forget about it. You can buy this for £36 (including taxes) per year. Today I give my opinion following the purchase of the best payment module for Gocardless. In addition, in2computing must have the best support, really fast, I have never seen this at any other module vendor. I think that many should take the example of in2computing. Really thank you for the work, maximum satisafaction. Great plug and great support from these guys. Keep up the good work! Tried a couple of other modules available in the market but this one has plenty of useful features and running smoothly. Had an issue in setting up but, the support was very impressive. Thanks a million guys. 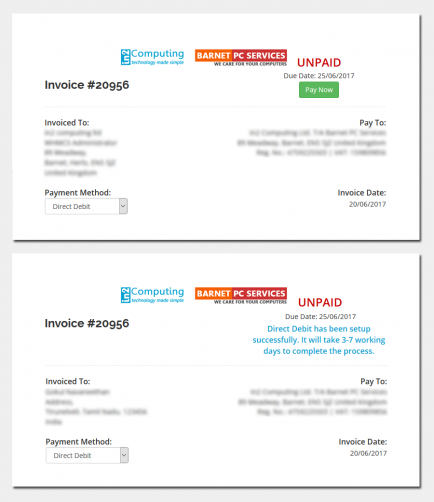 Fixed invoice details Direct Debit Status tab and client summary Direct Debit Information options visibility issue on admin v4 template. Optimised Gateway Log and Activity Log messages. Fixed an issue where in some cases payment fails saying "One of your parameters was incorrectly typed" with showing weird numbers like 1698.9999999999998. Fixed an issue where in some cases WHMCS logs some GuzzleHttp error during daily cron job after 7.5.1 upgrade. 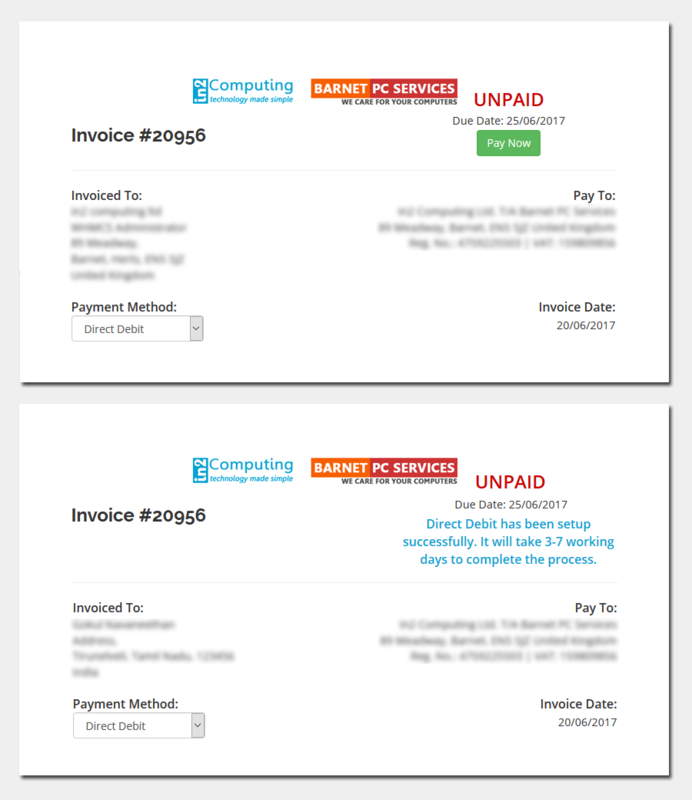 Fixed an issue for WHMCS v7.2.1 where Create Direct Debit on client area wasn't working.